It’s ransomware that attacked computers around the globe last week. The malware was loaded onto networks through certain versions of Windows. (Microsoft blames the NSA.) It then encrypts your system and demands ransom to unlock your computer. Three hundred dollars payable in bitcoin. According to Wired WannaCry can tell when it’s being detected and go dormant. Later, when when you least expect it, it comes back. Kind of like shingles for computers. The feds want software companies to leave backdoors on computers to make it easier to for them to snoop around. Unfortunately, bad guys can get in through the back door too. 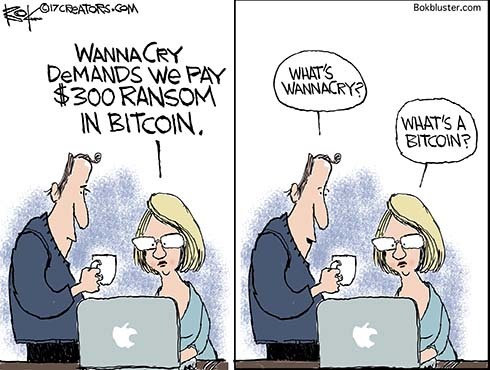 One Response to What’s WannaCry?